Kanchipuram is a city in Indian state of Tamil Nadu. It was formerly called as Conjeevaram. It is situated on the bank of Palar River and is famous for its temples and hand woven silk saris. It is also known as Silk City. Weaving silk saris is the main profession of the people of Kanchipuram. There are about 5000 families engaged in this profession. It is also known as the city of temples. Kanchipuram house as many as 1000 temples and some of them are historical important. 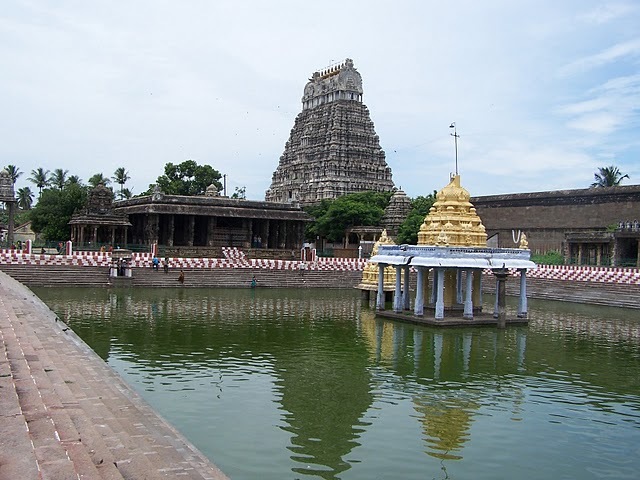 Kanchipuram is home to many temples of historical and religious significance. Devarajaswami temple is dedicated to Hindu god lord Vishnu. The temple was built by Vijayanagar kings. It has many beautiful pillars carved throughout the temple. The temple also has a majestic marriage hall which is built in remembrance of the marriage between Lord Krishna and goddess Laxmi. Ekambaranathar Temple is spread over an area of 20 acres. It is the largest temple in Kanchipuram. The temple is dedicated to Lord Shiva. 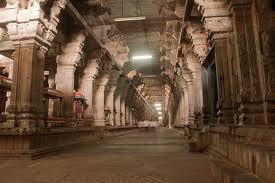 It was built by the Pallavas and has as many as 1000 pillars in the temple. This temple houses as many as one thousand Lingas made of single stone. Kachabeswarar temple in Kanchipuram has beautiful sculptures and engravings. Here you can see Lord Vishnu in the form of tortoise worshipping Lord Shiva. 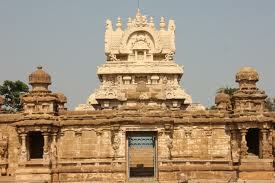 Kailasanathar Temple is another place of interest in Kanchipuram. It was built in 7th century by Pallava king Rajasimha. 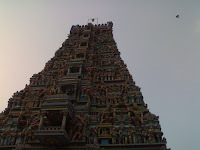 The temple is fine example of Dravidian style of architecture. Kamakshi Amman Temple is located in the center of the city. It was built in 7th century and renovated in 14th century. The temple is dedicated to goddess Paravati. It is famous for being one of the three holy places of Shakti Worship. Kanchi Kamakshi Temple is another famous temple in Kanchipuram. The temple has beautiful sculptures and some colorful paintings worth watching. Vainkunda Perumal temple and Vardaraja Temple are some of the many other temples to be seen here. How to get there: Rail and road connect Kanchipuram to other parts of the state and the country. Kanchipuram railway station is well connected to Chennai, Pondicherry, Madurai and other cities and towns of the state and the country. Many state run buses and other private vehicles like car and luxury buses are available from Chennai, Bangalore and many other cities and towns of the state and the country. Chennai Airport is nearest airport to Kanchipuram. The airport is just 56 km away and well linked by domestic and international flights to other major cities of India and other countries.